Trip to Malacca and back. 7 of us, 2 cars, 3 hrs ride. Totally enjoyed myself, despite having aches on the small thigh from too much of walking. 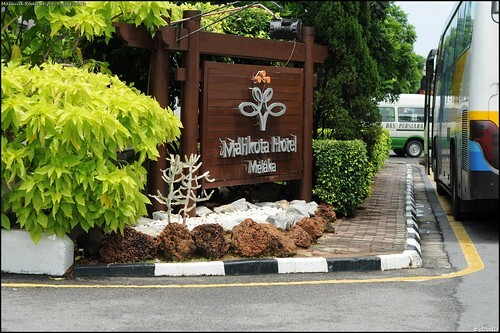 Reached Malacca at 7pm, checked in and off we went for dinner. 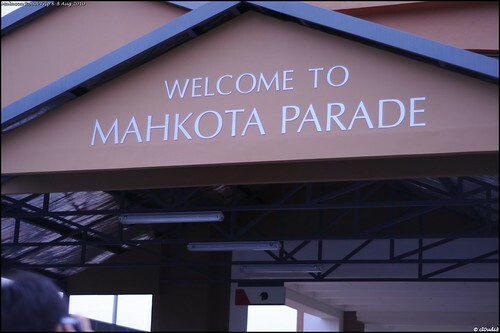 Across the road from Mahkota Hotel (where we were staying) is Mahkota Parade. 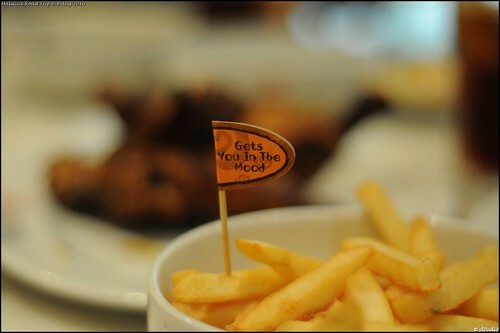 Had Nandos for dinner, since most of us had never tried the Singapore version before. 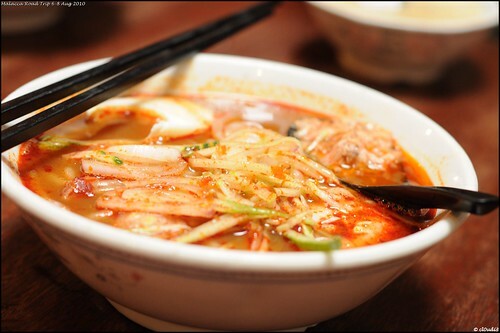 Food was pretty ok, but service was equally bad as Singapore’s (heard from those who tried the SG version). LoL. It was a pretty rushed dinner, we had less than 45mins before we had to get incepted. Inception was nice! Felt like we were all in the 2nd/3rd level of the dream. All for just RM8. That’s cheap compared to what we’re paying in Singapore! Back at the hotel, by the time all of us showered (we had a 3-bedroom apartment with 2 bathrooms), tired but not wanting to turn in. 4 of us ended up playing Big-2 & Saboteur (it’s a nice game!) till 4am. Got woken up by their voices at 8. Was in a groggy state – how can they be so alert after only 4hrs of sleep?!?!?! I need 9! 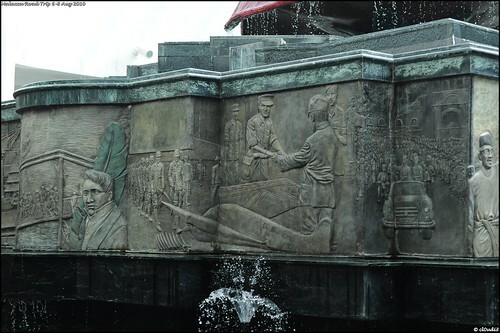 Headed over to Datarang Pahlawan (on the other side of Mahkota Parade) for Breakfast. Nasi Lemak was so-so, you can find better ones in Singapore. Walked around the shopping mall and I emerged with cutesey stuff for the kids. LoLs. 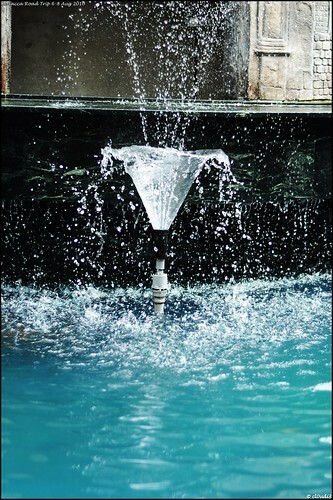 Saw this fountain and I couldn’t stop snapping! Went back to the hotel ‘coz we had to change to another apartment (due to the lack of 3-room ones for the 2nd night, we had to change to 2 of 2-room ones). 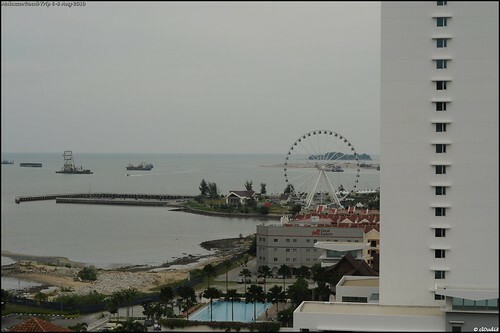 And this was what we saw from one of the apartments. After a short rest, we headed out. Again. This time to the other side of Dataran Pahlawan – the red church (Christ Church Melaka). 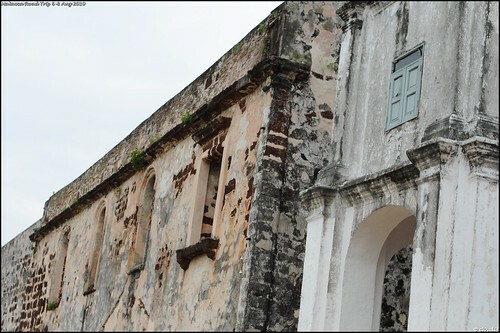 I do not know much about the history about this historical building, except that this is a must-see attraction in Malacca. 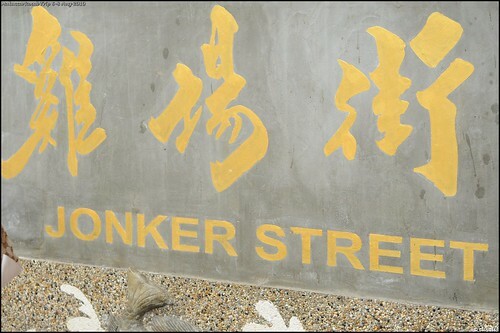 Jonker Street (right across the church) is where most of the activities are. 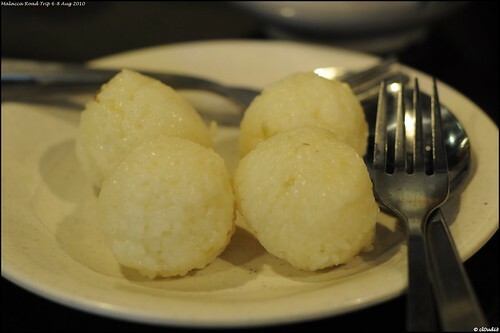 Took a short break at 三叔公, where the guys had the Durian Chendol. Spent the entire afternoon at Jonker Street, walked over to the Baba Nyonya Museum to find it closed for the day. Headed off for Peranakan dinner near the Museum, and more walking around Jonker Street. The night market was so bustled with stalls! Very different from day time! Back to hotel at 11pm. Our feet were all too tired and were aching from all the walk since morning. The 3rd and last day started only at late-morning, since we had to check out by 12noon. 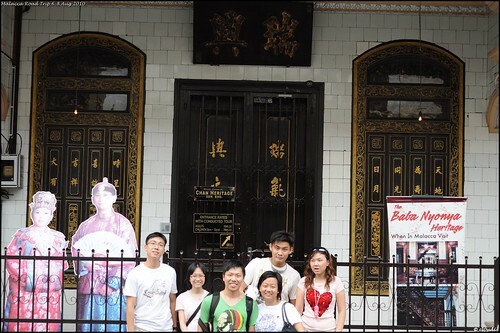 Drove off and parked near the Baba Nyonya Museum, where we proceeded with more walks (again). The trip into the museum proved interesting to me, since I’m quite a fan of the Nyonya culture – no thanks to the Channel 8 drama Little Nyonya. No phototaking was allowed, but here’s our guide for the day. She’s a Nyonya! By the time we left the museum, it was almost 5. Headed off for a quick dinner and off we go – heading home at last! I had a good trip! 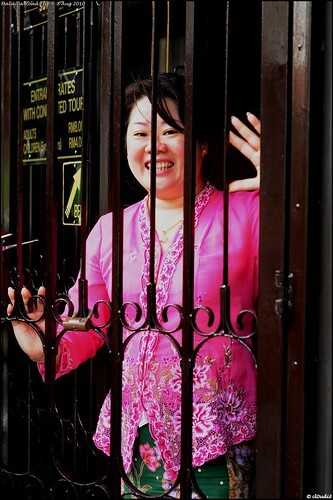 When are we going to Penang, to continue our Peranakan trail? Khakis for the trip to Malacca! <3 you guys!